Ilan Pappé is an Israeli Jew, a historian, and a man of courage and integrity. Pappé had been lecturing in political science at the University of Haifa (Israel) when he started questioning the traditional Zionist narrative. Working from British and Israeli government documents that were released in the early 1980’s, Pappé questioned whether Palestine had ever been ‘a land without a people for a people without a land’. 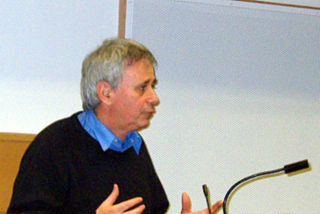 After receiving death threats and having his photograph appear in a newspaper at the centre of a target, Pappé moved to the U.K. where he is now professor of Social Sciences and International Studies at the University of Exeter where he continues to challenge the dominant Israeli narrative as presented by the Israeli government and the Western press. Tags: a professor with the College of Social Sciences and International Studies at the University of Exeter, ilan pappe, israel and palestine conflict. Filed under israel and palestine conflict by Father Dave on Jul 17th, 2014. Comment.